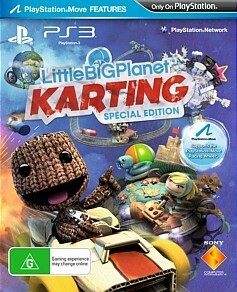 Little Big Planet Karting PS3 Review. If you're a fan of either Little Big Planet or any Karting game than you've come to the right place with Little Big Planet Karting. 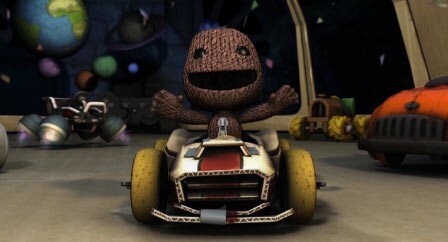 Initially I was a little dubious about Sony's new Karting game which was based on the extremely popular Little Big Planet series featuring the world's most customisable character, Sackboy. I also thought that this would be on par with one of the custom made racing games using this engine... fortunately I was wrong! Even if you're still thinking of Mario Kart, Little Big Planet Karting is actually a much more enjoyable game, especially with the powerful customisation options. In essence, you could actually build your ultimate Mario Kart game if that was your goal. 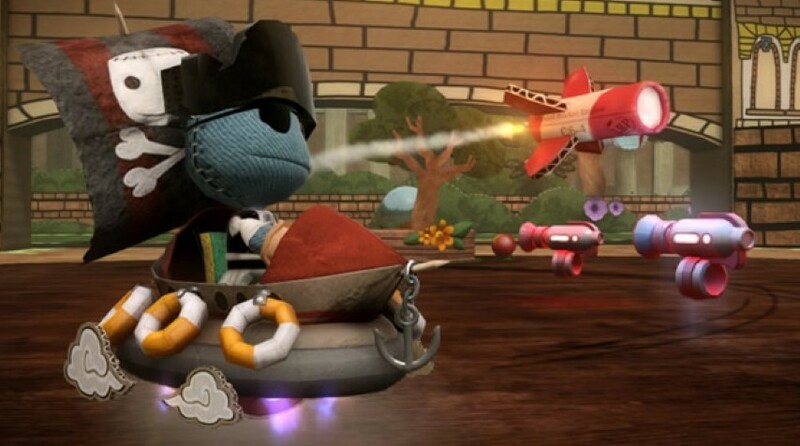 With that said, Little Big Planet (LBP) Karting allows gamers to Play, Create & Share their worlds. By choosing play, gamers can jump straight into the game and race on a variety of different tracks. Add in a variety of gadgets, boosts and power-ups and you have all the arsenal needed to win the races. Skill does help as well! The game even supports a local 2-player splitscreen mode which works perfectly, however if you want to increase your non-AI challenges, Little Big Planet Karting supports a decent online mode as well. Stephen Fry even returns to the franchise to lend his wondrous voice to the world of Sackboy and Sackgirl so from the very first few moments of the game, you immediately know that you are in the world of LBP. 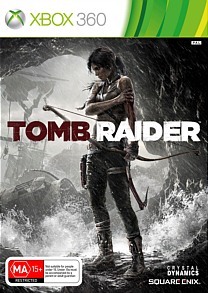 With a variety of different gaming modes, the main gameplay mode in single-player is campaign. This requires the player to embark on a set of races, complete various objectives and once again stop the nefarious Hoard. There's also some great customisation options available to player as you can add decals to your car and of course create the ultimate Sackboy. However, just look out for those obstacles on the track which can sometimes mean the difference between a victory and a huge loss. Controls work well on the PS3 DualShock controller as you take on your opponents on some truly deft defying tracks. It may not be Gran Turismo or Need for Speed when it comes to accuracy but karting around the world of LBP feels right. The game does support the PlayStation Move and you can purchase a new accessory called the PlayStation Move Racing Wheel. Although this method works, you still cannot beat the DualShock controller in my opinion. The developers have even employed some drifting mechanics as you slide around those corners at high speed. Add in a variety of power-ups and weapons and it's easy to see why some have compared this game to Mario Kart. Besides the more streamlined controls, the only thing cooler about Mario Kart are the characters themselves. Although I love the premise of LBP dearly, their characters are unfortunately no way as memorable as the Nintendo stable of characters. Nonetheless, firing your missiles and pressing turbo at the perfect opportunity definitely makes this the best karting game on the PS3 and even PS2. Another interesting premise of LBP Karting are the weapons used in the game as they can be used as both attack and defend. This means that all weapons have a counterattack and if someone fires a missile at your kart and provided you have the right weapon selected, you can in essence nullify the attack. Apart from your opponents on the track, you also need to watch the obstacles in your way which does require some driving tactics. You can't just race around the world of LBP without a care in the world, unless you want to crash. 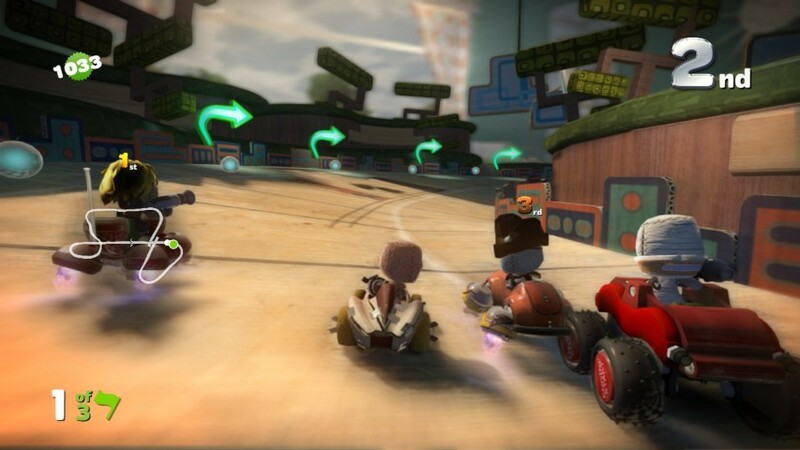 The creation element of Little Big Planet Karting is extremely reminiscent of the former PS3 games. If you're an old hand at creating LBP games, than you should have no issues with the current game. However newcomers may feel a little daunted as the only limit to your tracks and characters is your imagination. 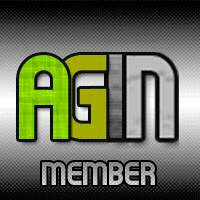 Practice makes perfect and if you do put the time into your creations, you'll soon get a fan following on the net. Given that, I'm pretty much a hack of the game creation of all Little Big Planet games, however the karting aspect is a little easier, especially when you put first track down. It's just the next stage that becomes a challenge for me and it's called detail. I also like how easy it is to share your creations and download other peoples creations in this game. 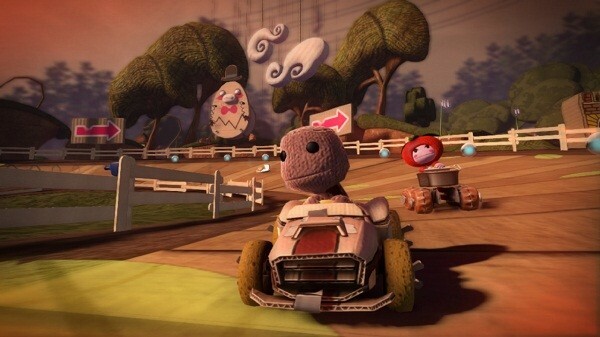 Cute + Cartoon = Little Big Planet Karting. The game looks like any other LBP game with its realistic "sack" looking characters that really make this cardboard world come to life. Add in lighting, special effects and LBP Karting is a good looking game on the PS3. The soundtrack rocks as do the sound effects and of course, the memorable voice of Stephen Fry himself. If you're a fan of either Little Big Planet or any Karting game than you've come to the right place with Little Big Planet Karting. Not only does it support a robust karting game with a healthy amount of racing features but it also supports the best customisation options available in any game. More importantly, it allows the gamer to create their own amazing racing environments which can easily be shared and downloaded by others. The only draw back to the game is the inclusion of the Move Controller and hopefully these casual control systems will eventually go the way of the dodo.